Barcelona city is the economic, cultural and administrive capital of Catalonia. Located in a perfect geographical position for sea lovers, the city is on the shores of the Mediterranean Sea. Here you will find the friendliness and warmth of the Mediterranean character, a pleasant year-round climate and enviable quality of life. From the marina in Barcelona city centre, you can reach very quickly all the famous sailing destinations along this coast. Palma de Mallorca, Ibiza and Formentera, the French Riviera and Sardinia in Italy, are all a leisurely sail from Barcelona. 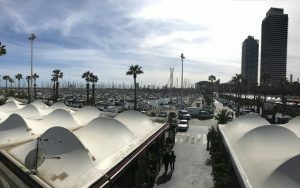 The Network Yacht Brokers Group head office is in Port Ginesta Marina, just a short distance by car from the centre of Barcelona. 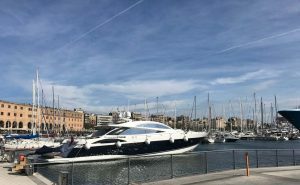 All of the above is why we see the capital of Catalonian as the perfect launch pad for any Mediterranean boating adventure. It’s fair to define Barcelona as a magical and charming city. It’s brimming full of excellent restaurants, bars, cafes with food and entertainment available from around the world. The town is multiethnic, artistic and cultural. Its residents say that it is a dynamic, cosmopolitan city of contrasts, a city bounded by the sea and the mountains where broad avenues and modern skyscrapers coexist with narrow medieval streets and contemporary urban life is enriched by its fascinating history. We believe Barcelona can satisfy every type of individual requirement. In fact, there are almost too many first-class restaurants and places to spend the best moments with your family or friends. Flying into the international airport, also knows as El Prat is quick and easy. It is a major transport hub where more than 100 airlines operate. It handles domestic and international flights. Easy Jet, Ryanair, and Vueling are just a few of the daily low-cost flights that will arrive from all parts of Europe. Flights from the UK often cost less than it would cost to travel from Manchester to London on the train. Barcelona has an excellent transport system that makes it easy for everybody, even tourists and newcomers, to get around the city. The city’s transportation network extends from the city centre to other parts of the metropolitan area and surrounding towns and cities. The Barcelona metro system is the and fastest way to move around. The city’s underground trains are clean and comfortable. In addition, the town has over a hundred bus lines that provide transport links throughout the Barcelona metropolitan area. Barcelona has one of the busiest ports on the Mediterranean. Numerous cruise ships set sail from the port of Barcelona to other destinations. Ferries also dock and depart from the port. You can get to Barcelona by boat from the Costa Brava, the Balearic and Canary Islands, Genoa and Rome. Marina Vela is a big marina close to the city centre and the beaches. You can reach it quickly with your boat or yacht from the open sea. This marina provides several innovative facilities and quality accommodation like the famous Hotel W. There are 136 moorings, all with first class services to hand. Walking along the marina, you can see elegant yachts and ships. 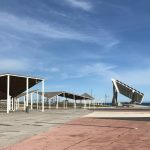 There is a pleasant promenade around the port reaching to Barceloneta beach, the main beach in the city. This area is always busy, full of tourists and young people having a great time. It’s very common eat a typical Paella dish while looking at the fantastic boats. Barcelona’s Olympic Marina is the perfect place to enjoy all types of leisure activities. It’s very close to the city’s most popular beaches, better known as La Barceloneta. It is one of the mostexciting tourist spots with an extensive choice of restaurants and clubs. Olympic Marina is vast, with 740 moorings including 85 modern commercial establishments. Here you can see the two famous identical buildings, the Art Hotels and Mapfre Tower. Many restaurants serve typical local seafood as “La Paella” and along the beach, you can take a mojito in a Spanish beach kiosk, called “chiringuito”. Port Forum Marina is another big marina surrounded by palm trees. It is situated in the most rural part of the city and therefore one of the prettiest locations. There is a direct connection to the city centre by public transport through the closed metro station Maresme/Forum. Port Forum has a private dock with 170 berths and an outer wharf with 31 berths for bigger boats. The berths provide all the most up to date services. Close to the marina, there is the more significant shopping centre in Catalonia’s, called Diagonal Mar. It is a massive three-story shopping centre; its home to some of the most exclusive shops, cinemas, restaurants and recreation activities one can find in Spain. For more information follow this link to a History of Barcelona. Even if you’re just visiting the city for a weekend break or passing through, if you need some pointers on where to go and what to see in Barcelona City, please talk to us. We just love to talk about this place.